The above excerpt all but captures the moving tale in Odafe Atogun’s debut novel. In it, the author uses the fairytale trope in a way that is reminiscent of its use in J.R.R Tolkien’s Lord of the Rings, with the theme of the lifelong battle between good and evil. The book is about a musician, Taduno, who fights the tyranny of a military government with his music. A beacon of hope for the people, and a threat to The President, he is attacked by government soldiers and left for dead. This forces him to go into exile. But three months later, a strange letter from the girlfriend and lover he left behind, Lela, prompts his return to a country where the voices of the masses have been silenced and their wills broken by the whips of tyranny. He discovers his girlfriend is nowhere to be found, and no one from his past recognises him or his music. The plot is thrown into motion when he sets out to unravel the mystery of his lost life and to find his lost love. Taduno’s Song is a fairytale set in Nigeria in the early 90s; a fictional, allegorical representation of the angst experienced by the masses during the time of notorious dictator, Major General Sani Abacha, and his likes; men who use the military as puppets to do their bidding. True to form, serious names are excluded in this allegory. Characters are known simply by their first names only and a few others via their roles and actions e.g The President and Mr. Player. This is because, they are all but symbols in this didactic tale and their real identity is revealed only through the unfolding of their actions and inactions. The plot is new and refreshing to read through. In this work, Odafe employs a fresh perspective to portray the foibles of government/leadership under a dictator. He also skilfully weaves a symbolic cluster of masses drawn from all works of life; the rich, the average, the homeless, the hustlers, the greedy—the good, the bad and the ugly. Odafe’s narrative reveals the effects of a tyrant government in a society where love, reason and truth has been silenced. This is showcased in the fall of good and the meteoric rise in the mediocre and downright ugly. The ruin of all that is good and progressive is exemplified in TK, who exemplifies truth, togetherness and progress; Thaddeus who represents innovation and economic growth; Sergeant Bello who imbibes the role of the corruptible security system that is mowed down at its attempt to side with truth; Taduno, the voice of truth, reason, love and justice, whom the dictator wishes to control and use as a tool to better his stand. The rise of the ugly is exemplified by Mr. Player, who is promised millions to side with evil and help control Truth’s narrative; Lela’s parents, who side with tyranny at the possibility of upping their class with money gotten from selling out one of their own. The characters also stuck rigidly to the trope of the narrative. They started out as symbols and remained symbols throughout the tale, with the exception of Taduno who grew somewhat stiffly because a choice of two evils had been forced upon him. They had no discernible futures as they had all somehow mysteriously forgotten their pasts. For what is one without his past? They showed no curiosity, no restlessness, the fundamental urge that leads every human on a path of questioning that heralds discovery and possibly, solutions. This also hints at the moral, emotional and spiritual indolence of the masses who in turn must share in the blame for being so easily suppressed and silenced. The characters therefore came off as stick figures moving stiffly around the pages. Taduno’s Song is a purely symbolic work of fiction, the most powerful symbols being Taduno’s guitar, Taduno’s voice and Lela, his girlfriend. The guitar represents the vehicle for truth and it grants the bearer the fortitude to face all odds. Much like the Holy Bible, it bears about it an unsettling quality especially for a heart that has closed itself to good. The guitar also represents Truth’s indestructibility. In Taduno’s voice lies a paradox: free will. It has the power to proclaim truth and also to accredit evil. Taduno’s voice symbolises the power that lies in mans tongue, hence Taduno goes through a gruelling process of regaining it when he loses his voice. Lela on the other hand represents the power of love, its selflessness and its ability to break barriers and also heal. Only after Taduno sees her does the world suddenly remember him and his music. 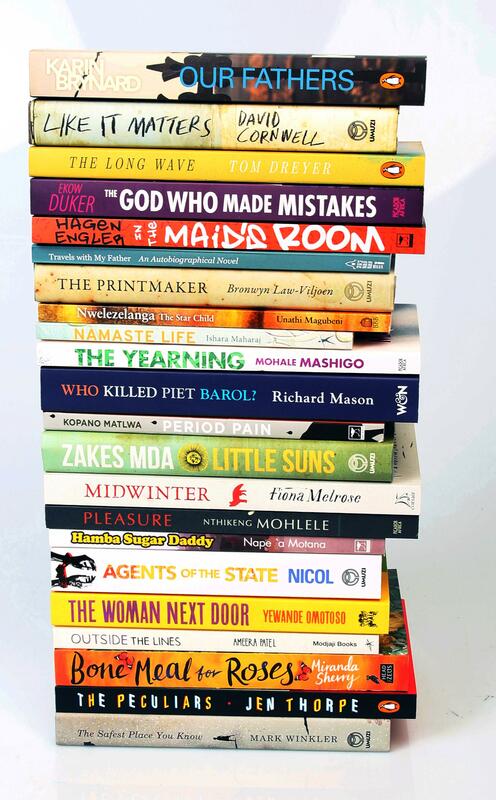 The themes in the book are those of choice, the power of love, tyranny, oppression, good versus evil, greed, identity, and buried deep somewhere, is a theme bordering on the religious which, sadly has eluded me. Taduno’s Song is laced with a bit of comedy too, especially the parts where The President sends in his Accountant and his Mathematician to convince an unyielding Taduno. The dialogue is apt, quirky and deliberate. One also feels hope, grief, loss and the angst that presages mans freedom of choice. 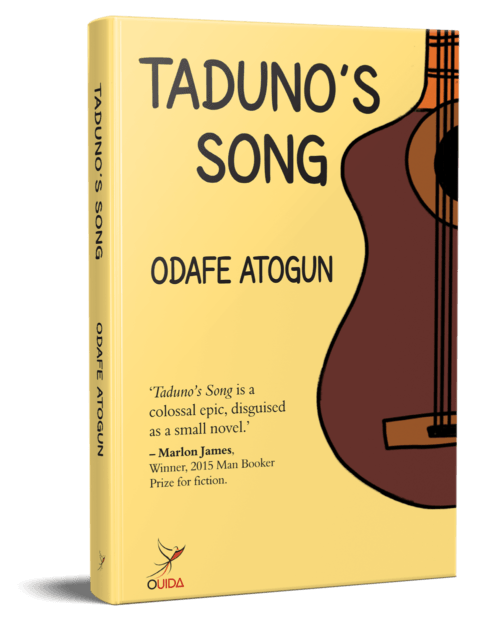 Odafe Atogun’s debut novel is a great read. It deserves your opinion too. Grab a copy today and be kind enough to share your thoughts in the comment section.